A FATHER and son were jailed for a total of seven and a half years today over a shooting incident at a Traveller wedding which led to a relative being killed and another wounded. Patrick McGinley (49), Ardlougher Road, Irvinestown, Co Fermanagh was jailed for four years after pleaded guilty to the manslaughter of Barney McGinley outside a Catholic church over three years ago. 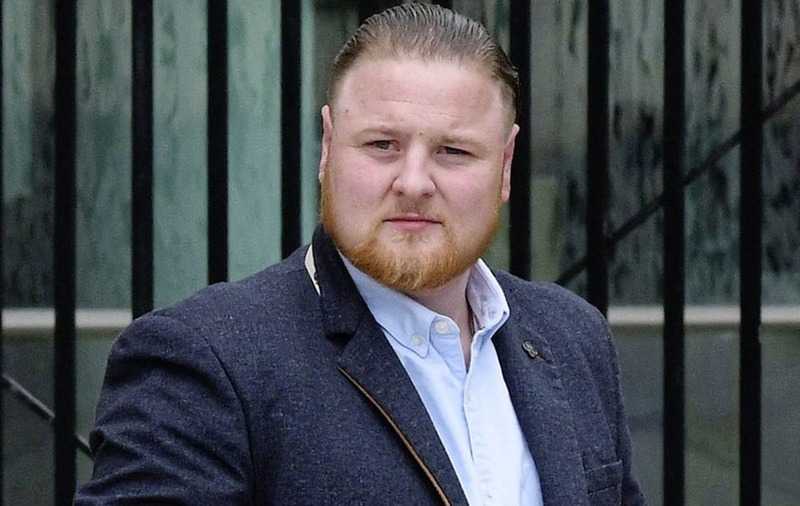 His son William McGinley (29), of Sallyswood, Irvinestown, was jailed for three and a half years after he admitted wounding Barney McGinley's son, Bernard Oliver McGinley, with intent to cause him grievous bodily harm. Mr Justice Colton also sentenced two other sons of 49-year-old Patrick McGinley. Patrick McGinley jnr (24), of Lisfarrell, Edgesworthtown, Co Longford, and Bernard Patrick McGinley (18), of Ardlougher Road, Irvinestown, had pleaded guilty to a charge of affray over the same incident. Patrick McGinley jnr was ordered to carry out 150 hours community service and Bernard Patrick McGinley was given a 12 month probation order. 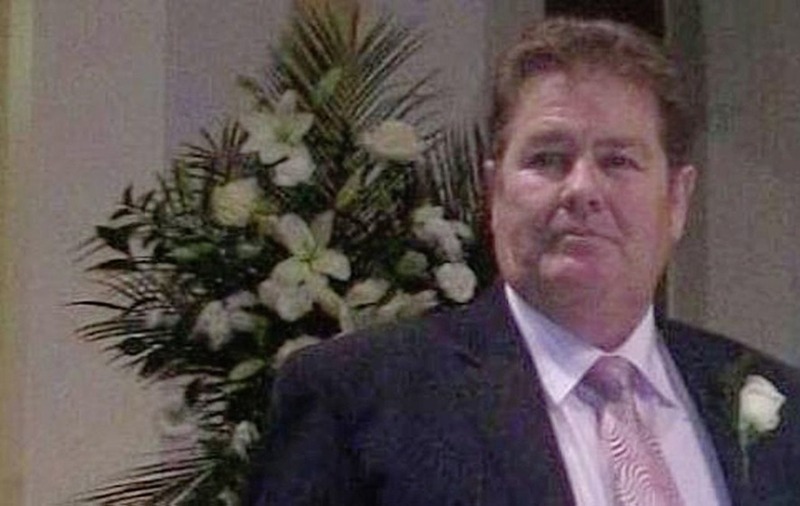 It was the Crown case that the shooting happened outside St Mary's Catholic Church in Newtownbutler on February 11, 2015 where the niece of Patrick McGinley snr was due to get married. 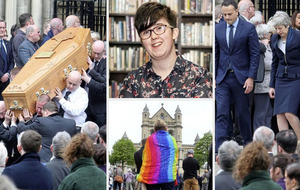 The court heard 63-year-old Barney McGinley turned up at the church with his wife in a van and parked in the car park of the church near to his nephew Patrick McGinley snr. It was his presence at the wedding that sparked the incident, the court heard. 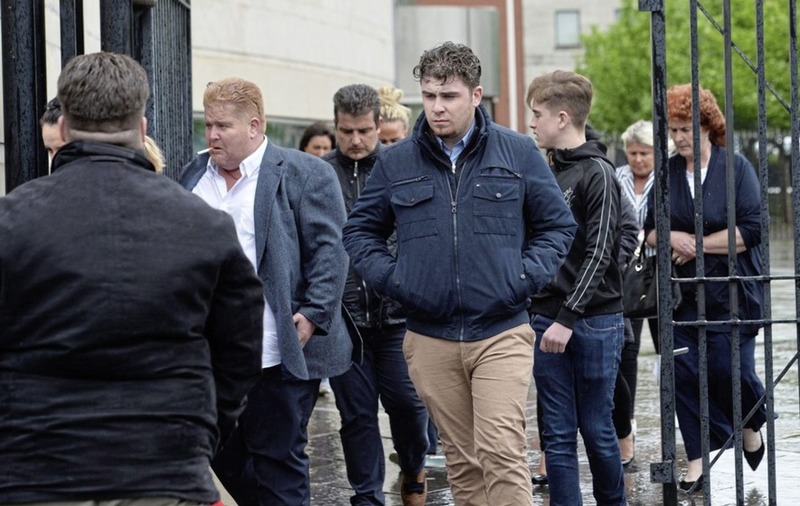 Mr Connor said there appeared to have been "some sort of altercation and they had a heated exchange'' before the deceased drove out of the car park and headed up the main road where he met up with other family members. Following a discussion, Barney McGinley returned and parked up outside the church where there was a further altercation and a home made 'pipe gun' or 'stick gun' was produced. The court heard a claim the weapon was brought to the scene by a "person in the company of the deceased''. 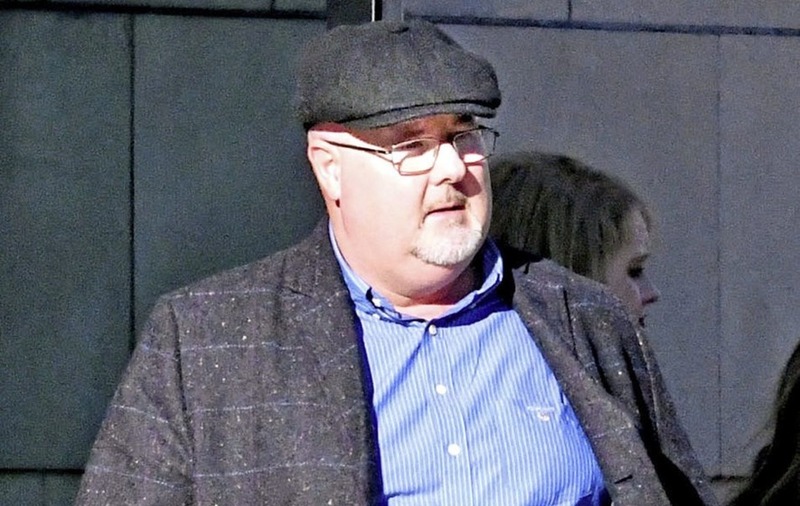 The court heard Patrick McGinley snr claimed he "forcibly removed the pipe gun from the deceased'' and he claimed that during a struggle it was discharged. William McGinley picked up the "crude'' weapon, reloaded it with a further shotgun cartridge and fired it into the back of the deceased's son Bernard Oliver McGinley from a range of six to ten feet. 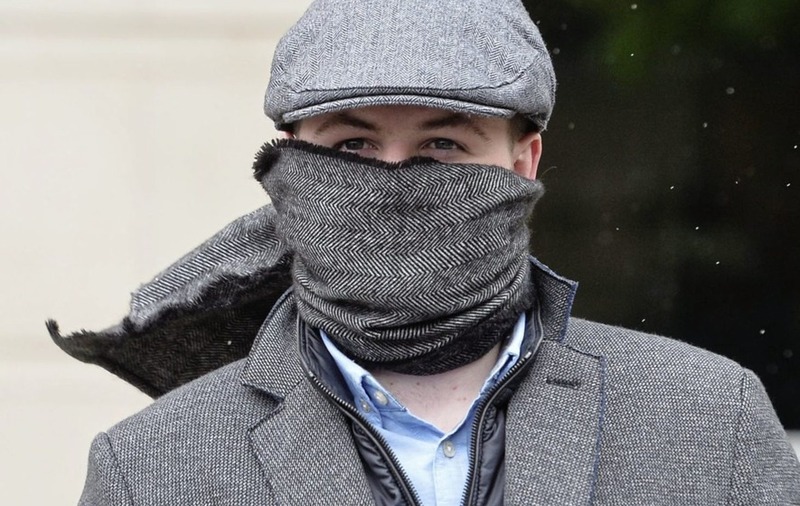 During what was described as a "melee'', Patrick McGinley jnr and his teenage brother Bernard Patrick McGinley became involved in the incident by rushing foward from the church to assist their father. Barney McGinley was put in a vehicle, said Mr Connor, and taken to Lisnaskea police station from where he was airlifted to the Erne hospital by helicopter but died some time later. The prosecutor said the pathologist gave the cause of death as the result of a "shotgun wound to the abdomen''. At the sentencing hearing today Mr Justice Colton said it was clear that the weapon had "not been brought'' by any of the four defendants to wedding and had in fact been brought by an associate of the deceased. He told the court that there was "no question of pre-planning or premeditation'' on the part of father-of-five Patrick McGinley snr. Although his three sons had no previous convictions, Mr Justice Colton said scrap dealer Patrick McGinley snr did have previous convictions. He had received a suspended sentence at a court in Dublin 1999 for violent disorder and also had two convictions in Belgium in 2010 and 2011 for fraud offences. The judge said that it was clear from Victim Impact statements that Barney McGinley was a "much loved father-of-nine, grandfather of 48 and great-grandfather of two'' who had been married to his wife Brigid for 41 years. 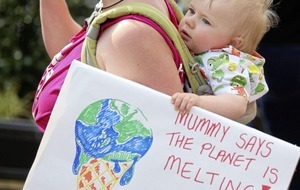 The statements by his family said he was much missed, "particularly at Christmas''. Mr Justice Colton said that no length of prison sentence handed down by the court could "cure their anguish''.